Winter is the harshest of all the seasons in the UK, the temperature drops, the days get darker and rain, snow and ice make the roads treacherous. 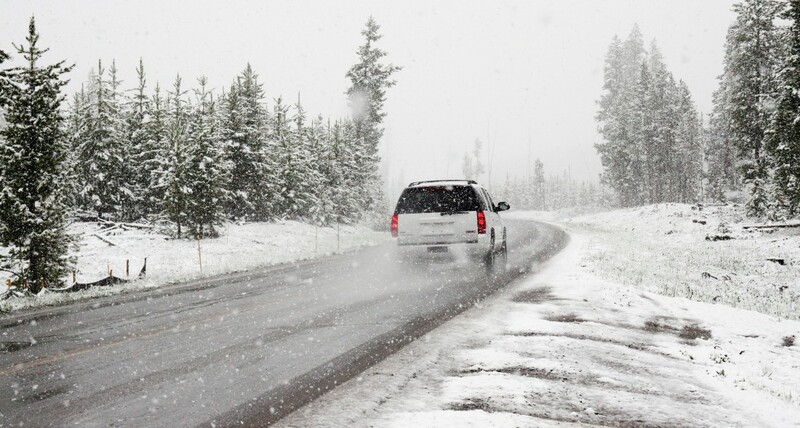 Driving in these conditions can be dangerous, so it is important to make sure your car is ready for the months ahead. Low temperatures put pressure on your car, which can increase the likelihood of breakdown, while slippery roads and reduced visibility lead to a higher chance of accidents occurring. If the worst should happen, having supplies can make these situations a little more bearable. You may want to include the following in your kit: a torch, a portable phone charger (with charge), a first-aid kit, a map, a blanket, de-icer and an ice scraper, food and water. One of the most common reasons for drivers seeking breakdown assistance in winter is flat batteries. At this time of year, when it is colder and there are less daylight hours, car heaters and lights are used more frequently which will drain the battery more quickly. Car batteries will usually last for five years, so if you think yours is reaching the end of its lifespan, it may be worth replacing it to avoid a breakdown. In the winter, it is very important to have enough effective engine coolant, made up of equal parts water and antifreeze. The reason I say ‘effective’ is that if there too much water, it could freeze in cold weather and the engine might overheat. You can purchase kits to test whether your mixture is suitable. Good tyres are vital in winter, as snow and ice make the roads slippery. The minimum legal tread depth is 1.6mm, but in winter, you will benefit from a deeper tread of 2 to 3mm because the tyres will be able to better disperse water and snow and offer more grip so that you remain in control of your vehicle. The cold may also affect your tyre pressure, so check this regularly. Before setting off in your car after snow has fallen, be thorough when you scrape off your vehicle. Snow or ice left on your mirrors, windscreen or falling from your roof can limit your vision, and you must also make sure that your lights and number plate are not obscured.